I always feel a bit sad after Labor Day. The BBQ “season” and nice weather begin to wane. Leaves start to turn colors, fall cleaning and winterizing occurs, and thus the summer and barbecue season “officially” comes to an end. It’s a bummer to think of people putting their grills away, not to be used again until Memorial Day Weekend. I use my outdoor grill and smoker year-round and firmly believe that there are zero reasons to stop cooking outdoors just because fall has arrived and temperatures drop. That’s why I’m here to challenge you to think of BBQ season as never-ending. Why not? 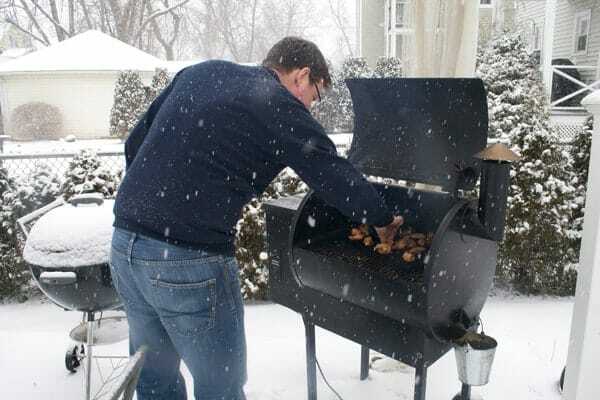 Whether you live in a warm climate, or rainy, or snowy, I urge you to think twice before retiring your grills and smokers for the season. 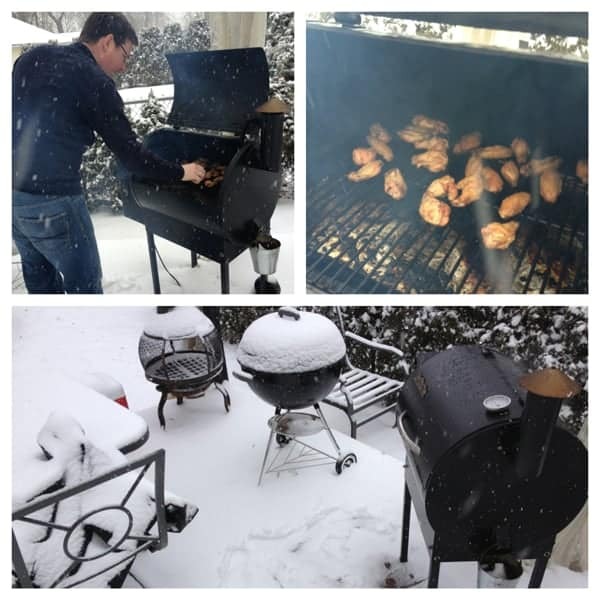 Yes, even in a blizzard, you can make great BBQ! 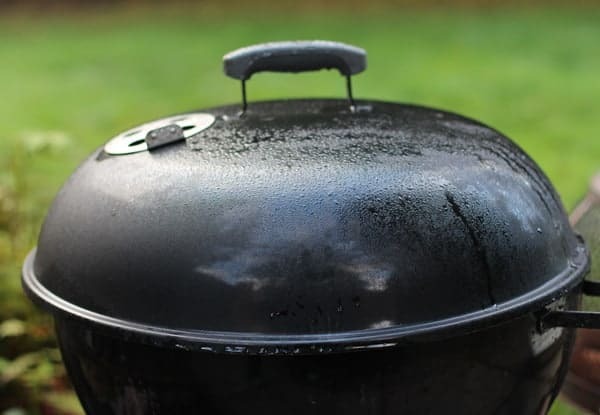 But before you go and dust off your grill this weekend I want to discuss the importance of year-round maintenance in order to keep your cooker long lasting. Whether a propane grill, smoker, or a charcoal cooker, if you’re not cleaning ash or drippings out regularly then be absolutely sure to do it now. I use a shop vac every few cooks, and at the beginning of the fall to really get a deep clean done. Then I make a point to clean up grease and soot or creosote within the cooker. 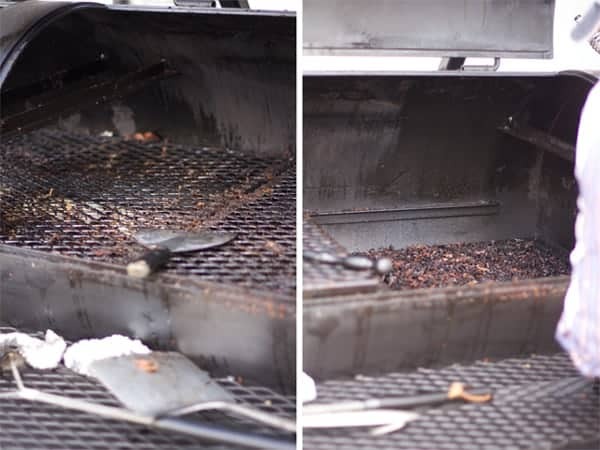 That smoke will create a thin soot-like layer that (in my opinion) does nothing to add flavor, it’s less on a gas grill but the interior cleaning is important for grease and food buildup. So use a damp cloth you don’t mind throwing away and rub down the interior of your cooker, including the grates, drip pans, or gas vents. Time to look at your parts. If you have a Weber kettle, like me, the high heat inevitably will cause issues with the grates. So I look for rust or damage to the grates and determine if it makes sense to buy new ones, or clean it off. Cold and wet temperatures won’t make it any better. Also look for rust on the exterior and consider sanding it down and using high heat grill touch up paint to avoid further rust. 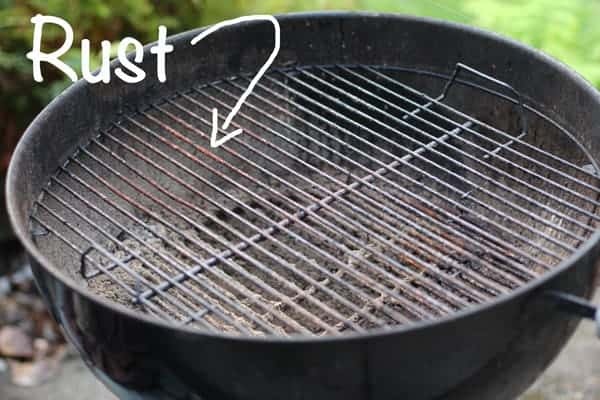 For gas grills, look at your gas vents for signs of rust, and consider replacing your drip covers every couple of years. They tend to go much sooner than the exterior. Cold temperatures outside while cooking means you use more fuel and may need to supplement your cooker with an insulator of some kind. The Traeger, for example, has an insulation blanket. Whatever you cook on, just be sure to know you’ll need more fuel. So stock up on whatever your source is, whether coal, wood, or propane, before the store runs low for the winter. As much as I despise the end of “BBQ season,” I equally love fall foods — squash, smoked Thanksgiving turkey, grilled wild mushrooms – and there are so many great things to do on the outdoor cooker in the fall and winter, such as smoking prime rib for Christmas dinner. It would be a shame if you didn’t at least try to experiment! I’ll be sure to share some of my favorites over the next few months. 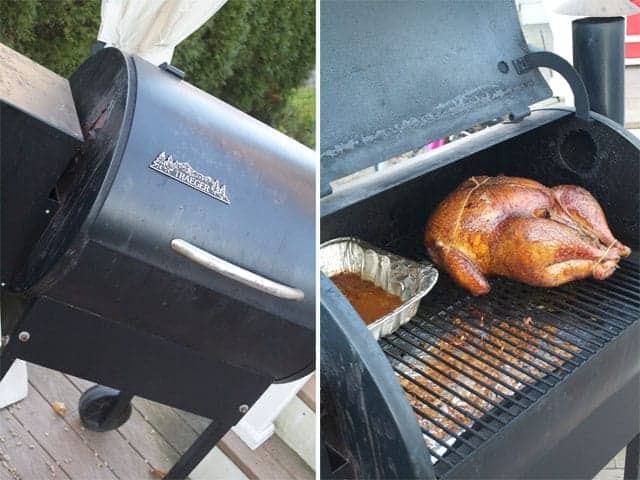 For example, our maple bourbon brined whole turkey we do every year for Thanksgiving. Maybe we’ll need to do a practice session this month and share it with everyone (including smoked stuffing. Yes. Smoked stuffing) to prepare you for using your outdoor cooker this Thanksgiving. While I may not be wearing shorts, it’s the allure of time with friends and family that I get most inspired about. I love the flavors of grilled and smoked foods, and I’m not going to let cold weather (or rain) get in my way of cooking what I like year-round. One of the saddest things for me about winter is that everyone seems to go into hibernation, not to be seen again until the first sunny day of spring. 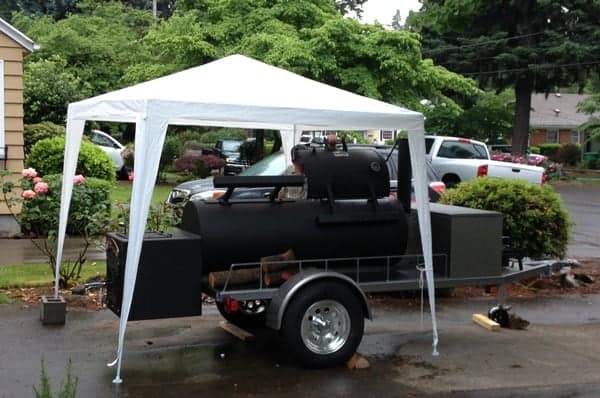 The smell of your smoker is a surefire way to get your neighbors to come out and catch up, rain or shine! Snowing on Superbowl Sunday? Just think about how impressed your friends will be if you show up with wings you smoked during that snow storm? It’s raining? Just get a cheap cover, like this one. Do you cook outdoors year-round? I’d love to hear any of your favorite fall/winter things to cook on the grill! 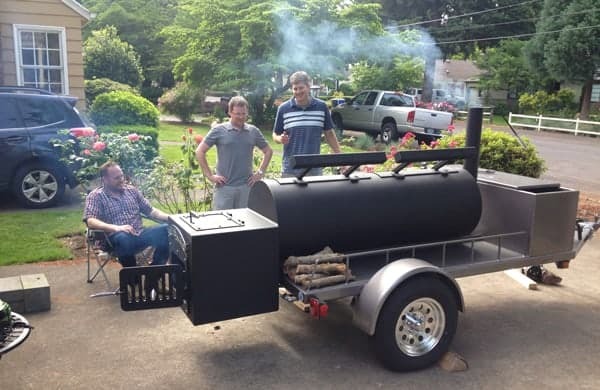 Business by day, BBQ by night. Father of twin toddlers. Husband of the author of this awesome blog. Still a fan of PBR. Good inspiration! My propane tank just ran out and have been debating about whether to replace now or wait til spring….leaning toward the former now! 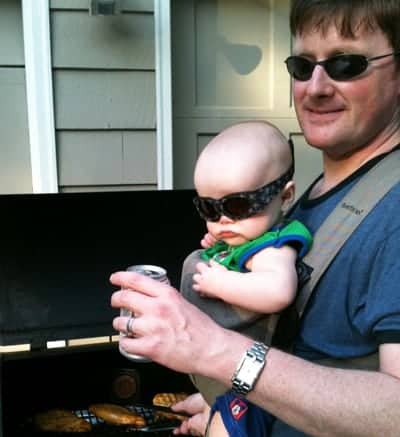 Yes, you never know when you’re going to be inspired to grill! You want to be prepared. 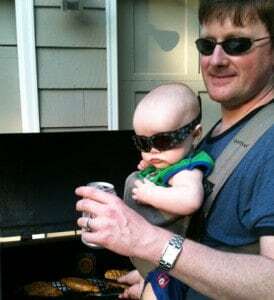 Heck, back when we had a gas grill we had 2 propane tanks in the event that one ran out mid-grill (which happened quite a few times! ).